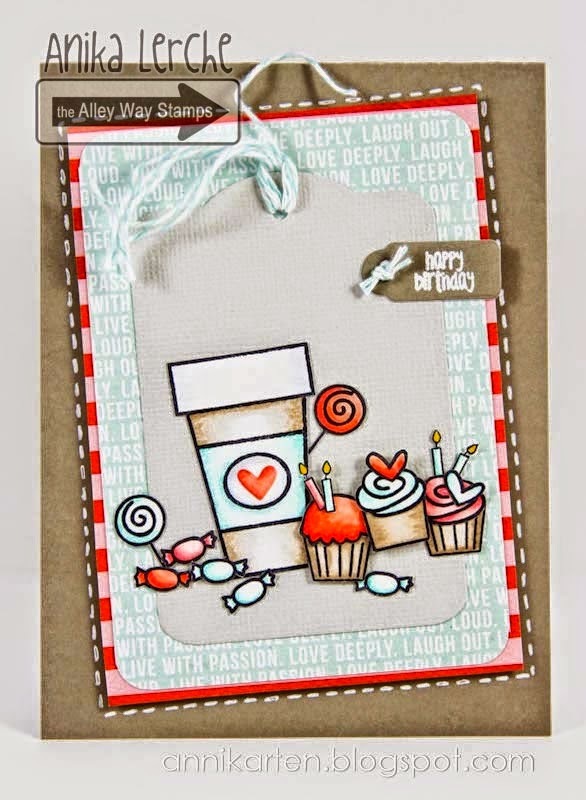 September Blog Hop - Enter to win THREE new sets! And you have the chance to win all THREE new sets! If YOU want to be that lucky winner, all you have to do is comment on the hop! You can pick and choose which ones you want to do, but the more you comment, the more chances you have to win! You have until Tonight at 9:00PM TAWS time to leave them! All winners will be announced tomorrow, September 1! or more during the month of Septemberl!!! It will automatically be added to your order, so shop away! Now it's time to hop! It's the last day of the sneak peeks for September, but... we'll be back tomorrow with the Blog Hop!!! ...And we will give away ALL THREE new sets to one lucky stamper, so make sure to come back again tomorrow! All the comments posted today are going into a random drawing and one of you will win the new September set - Stomper!!! You can have up to 2 entries! Please leave a SEPARATE COMMENT FOR EACH! Commenting closes at 9:30 pm TAWS time! Good luck! All winners will be posted on Tuesday, September 1 during our Recap! Today we have a new Designer joining our team!!! 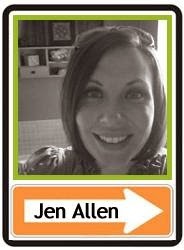 Please give a warm welcome to Jeni Allen!!! Hello, Tracy here! I love the new Stomper set! 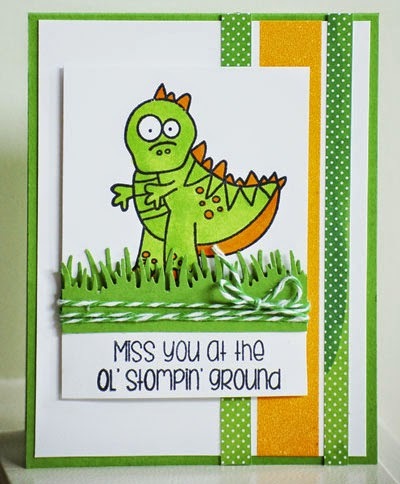 The dinosaur is adorable and the possibilities are endless with creating cute cards! HI there, it's Christine! 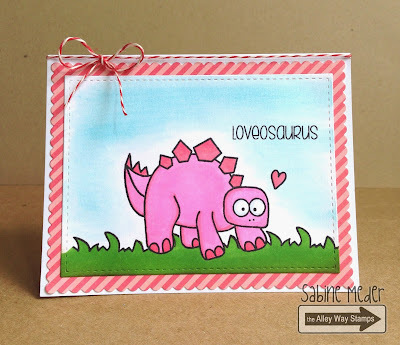 I totally fell in love with all the Dino sets - they're all freaking cute and got "the look" ;) For my Stomper-card I used some Journaling-cards , the colored and fuzzy-cut image and a few heart-embellishments. This set is soooo much fun to color - love love love! Hey everyone! Ali here!!! Here is a little Copic Coloring Video for you to enjoy.. 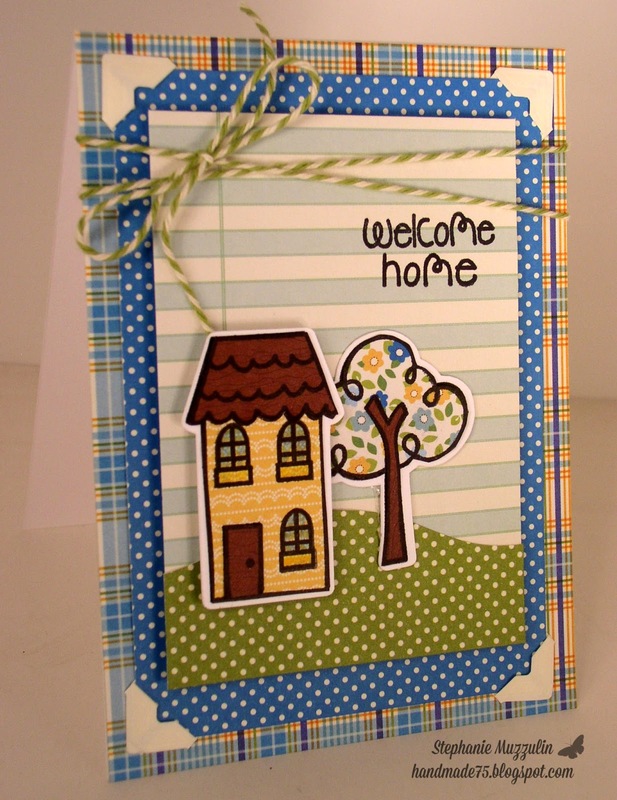 I will be linking it with my blog hop video tomorrow on my blog.. 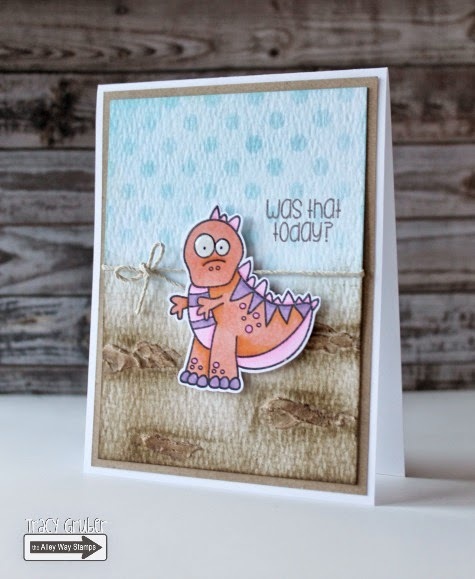 It's time to check out Sneak Peek #2 of the "dino-rific" September Release! BEFORE you get to the peek.. TAWS owner Alison Spelman was nominated by a few people to do the ALS Ice Bucket Challenge. Not only does she do it.. She is donating, and involved her whole family! You have to take a look!!! Don't forget to come back tomorrow for another sneak - we have three full days of sneak peeks! And we have our New Release Hop this Monday, August 31 where we will give away ALL THREE to one lucky stamper! All the comments posted today are going into a random drawing and one of you will win the new September set - Prehistoric!!! You can have up to 2 entries! Hi Dana here!! I just LOVE this release!! 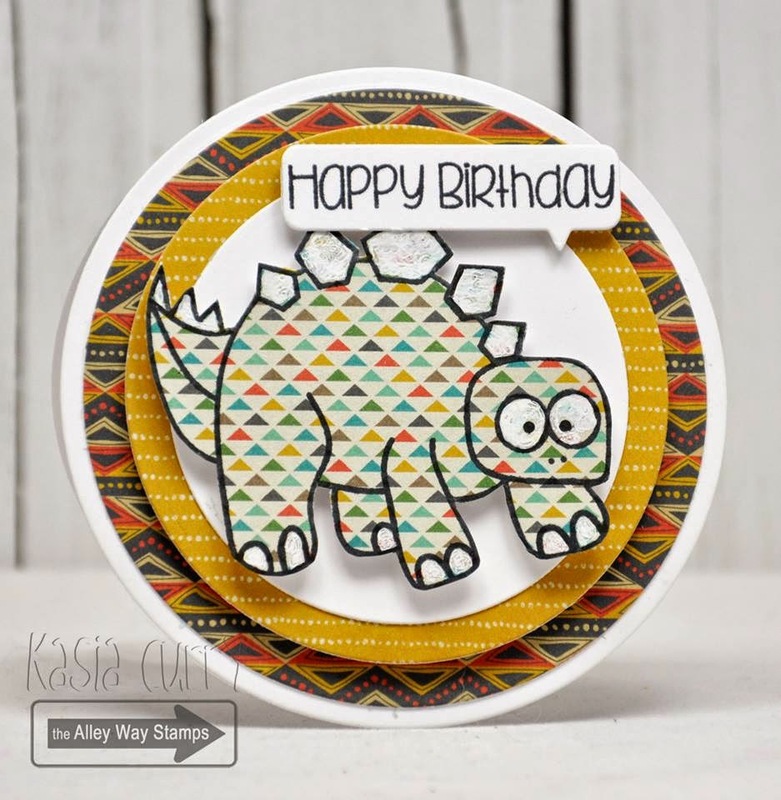 There are so many options with the Prehistoric sentiment set!! For my project i was thinking valentines for a little boy!! 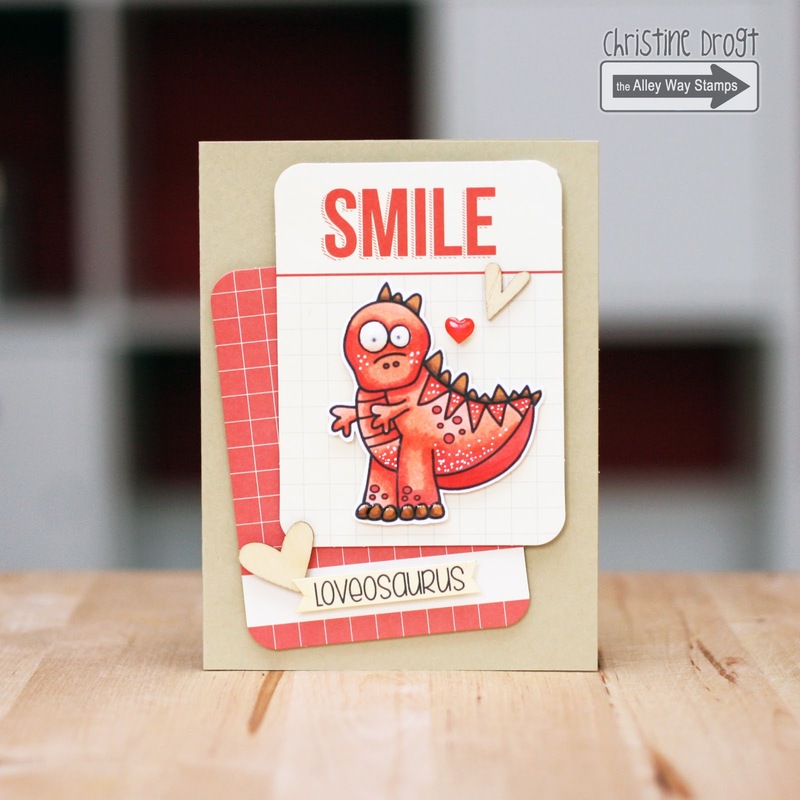 I also used the new Livin' Fossils stamp set that was sneaked yesterday! Hello everybody, Tanja here. I agree with Dana! I also LOVE this release. I made an interactive card. A small window frame. Of course with sentiments from Prehistoric. We have our first Sneak Peek giveaway today for the September Release! We are all about going back in time this month to the days of the dinosaurs! All the comments posted today are going into a random drawing and one of you will win the new September set - Livin' Fossils!!! You can have up to 2 entries! Hello! 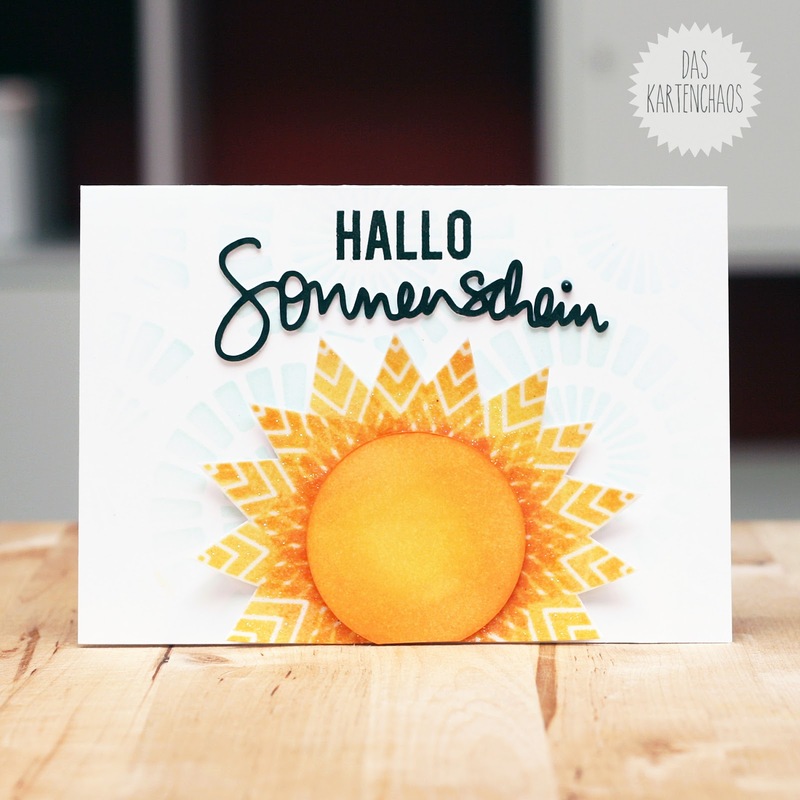 Anna is here and I'm so excited to work with stamps of our September release! When I was a little girl, I loved dinos so much! The movie "Jurassic Park" was my favorite, I think, I watched it 100 times! 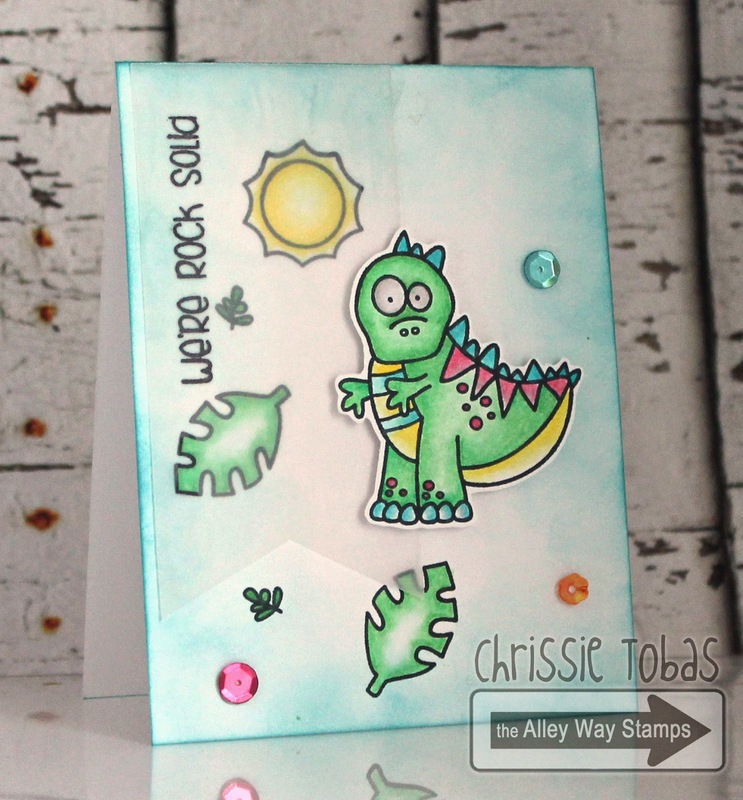 Haha :) And this is my card, with two dinos on the background of the Sun. Hi there, it's Sabine. Welcome to an awesome peek at a new set called Livin' Fossils! My daughter Lena, 10 and I (I actually read Jurassic Park 3 times) love dinosaurs, so this a perfect set for us (and all dinosaur lovers)!I colored the stegosaurus pink and made him a loveosaurus. Look how cuute he is!! Anni here! Aww, how I love the new sets! Happy times ahead, I promise! Kasia here, and I absolutely ADORE this new set! 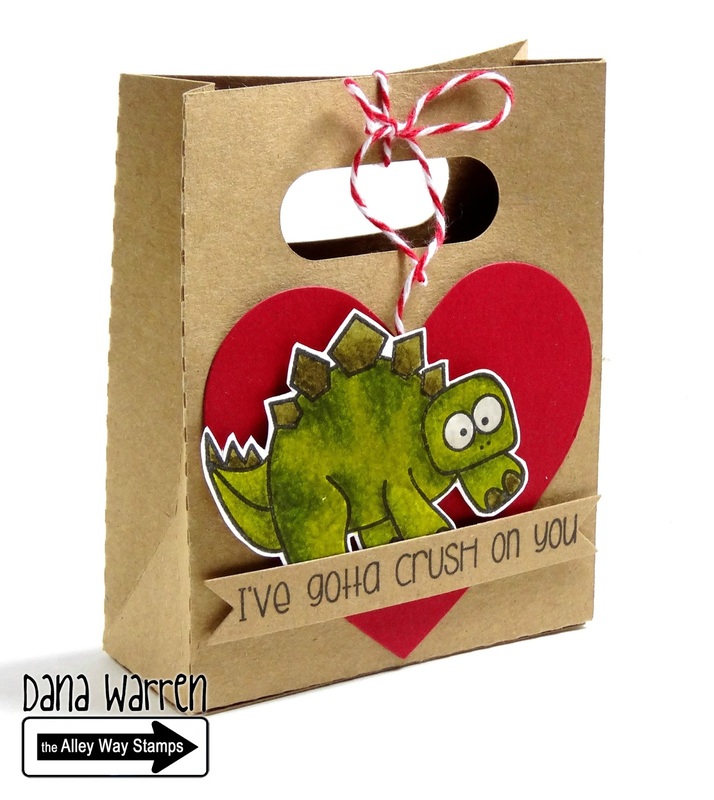 The dinos are too darn cute. We have the two final cards from our August Guest Designers today. It has been a real pleasure seeing these fantastic creations each week!!! 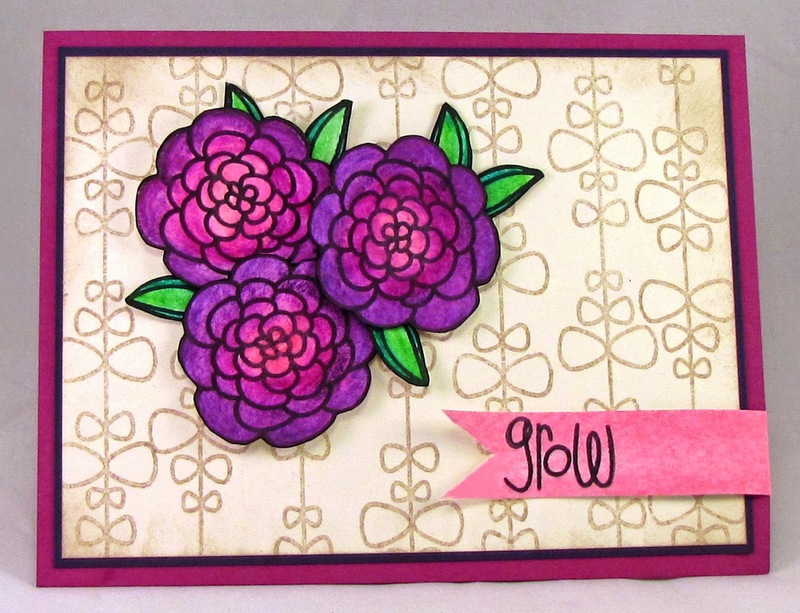 Sandra created this STUNNING card using Petal Pushers. Stephanie seriously rocked the house (LOL!) with this amazing card. Just wow. She used Mrs. Roger's Neighborhood with the coordinating SVG files. Hi! 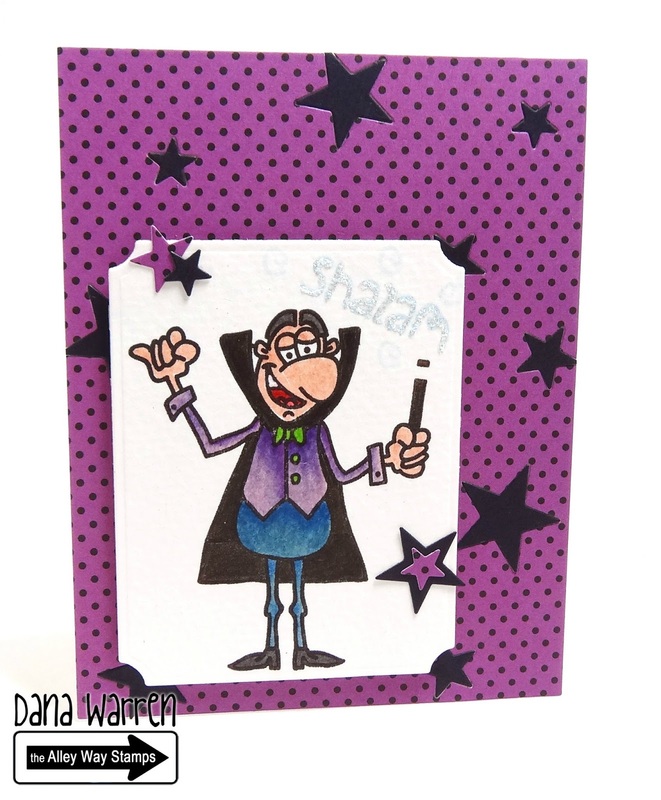 Chrissie here and I think the magician from Ta Da is too cute! He makes me smile whenever I look at him. I paired him up with Now You See Me (free with a $40 purchase this month) to create this fun card. Hi it's N@ Ali. 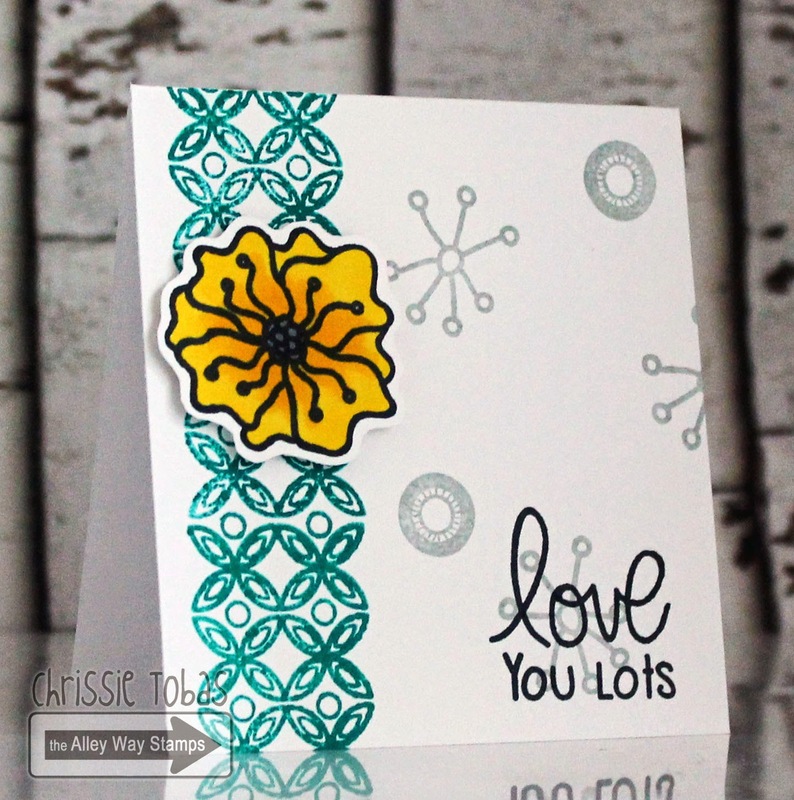 I used the stars from this month's mini Now You See Me along with ink drops to create a "splashy" background on today's card. The sentiment is from Enchanted. Hey, it's Christine! 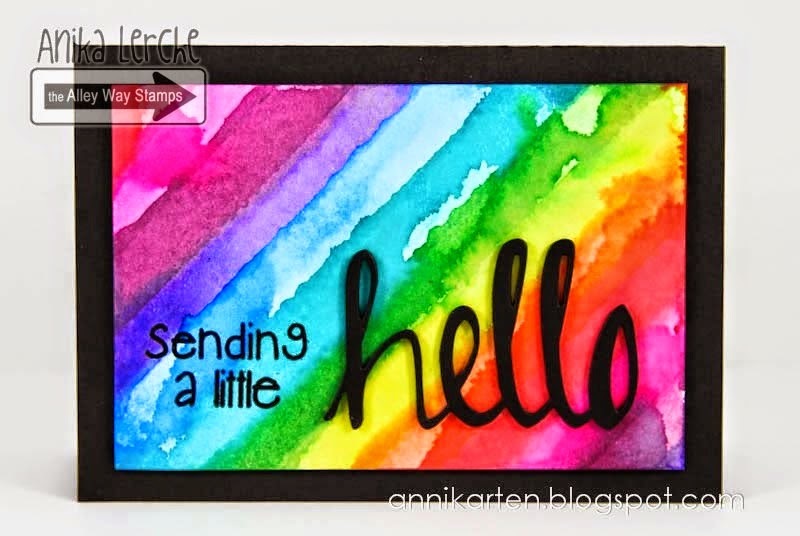 I'd love to share two cards and a video today. The first one is bright and colorful, using Flower Show. I cut the sentiment from brown cardstock and also from wood veneer-paper and layered it. Now it looks like a wood-veneer-embellishment - I love it! Anni here! I am still in love with watercolor (who not?) and I used it to make the background for this card. The stars are from the set Now You See Me and the sentiment from the set Out Of This World! Dana here! For today's card i used the new Ta-da set! I used some pattern paper, dies and a little bit of glitter!! Hello, it's Sabine. Here I used the new set Flower Show for the background to make my own patterned paper and the cute bees. 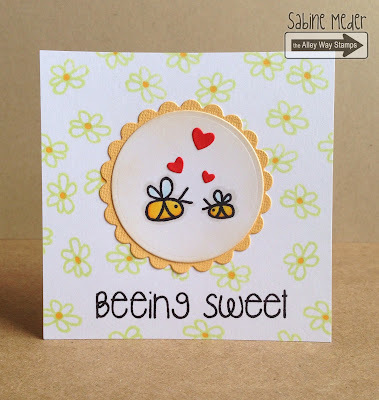 The sentiment is from Bee Sweet. Today we want to wish our fabulous DT Member Anni, a very Happy Birthday! And my congrats for Anni from Russia! You are so talanted lady! And Anna is here and that's my project. It calls Shine. We all should shine, what do you think? :) I used Now You See Me set to make background, I love these stars! 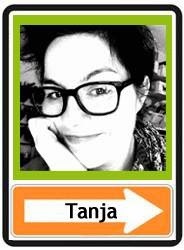 Hi, Tanja here! It's Monday and a Birthday again. Congratulations to Anni. I'm a big fan of her outstanding work. She is soooo talented and such a friendly person. 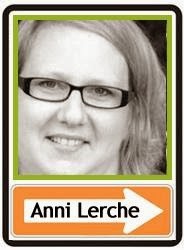 Big hugs to you, Anni! Best Birthday Wishes, Anni!!! 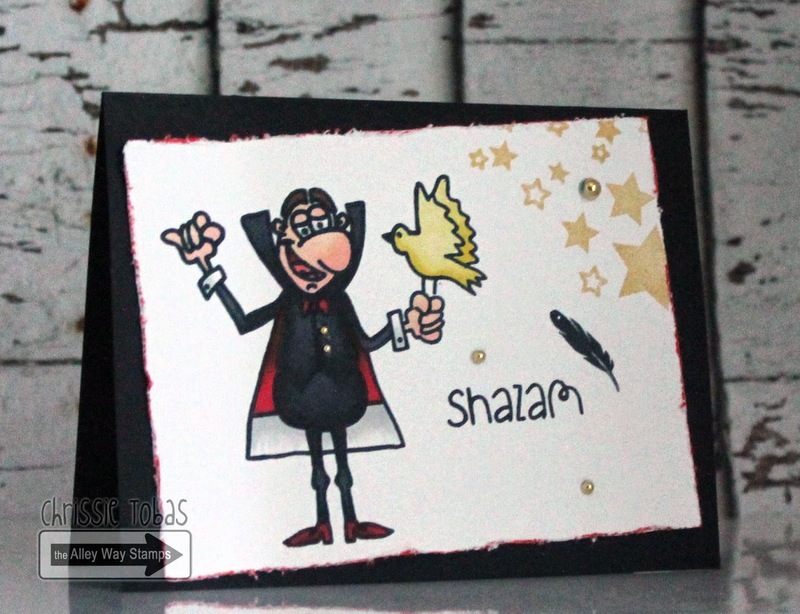 It's N@ Ali here with a fussy cut, watercolored magician from TA-DA set. 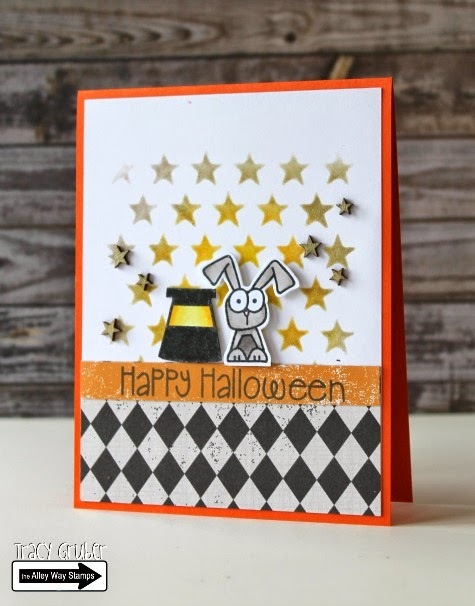 We have TWO fabulous creations to share from Guest DT Member Sandra Farrell today! 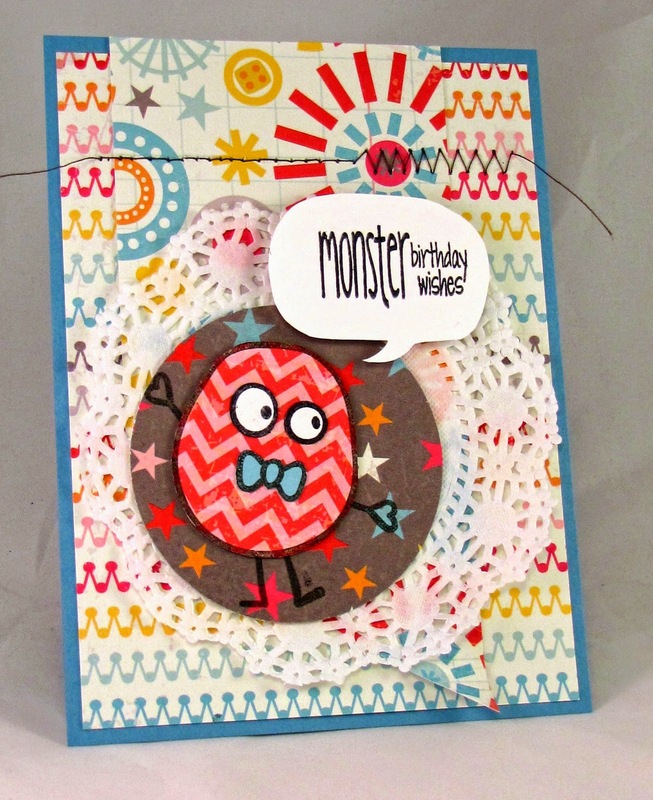 She used Monster Mash to create these fun cards!!! Hi! Chrissie here! Flower sets really speak to me and the new Flower Show is no exception! 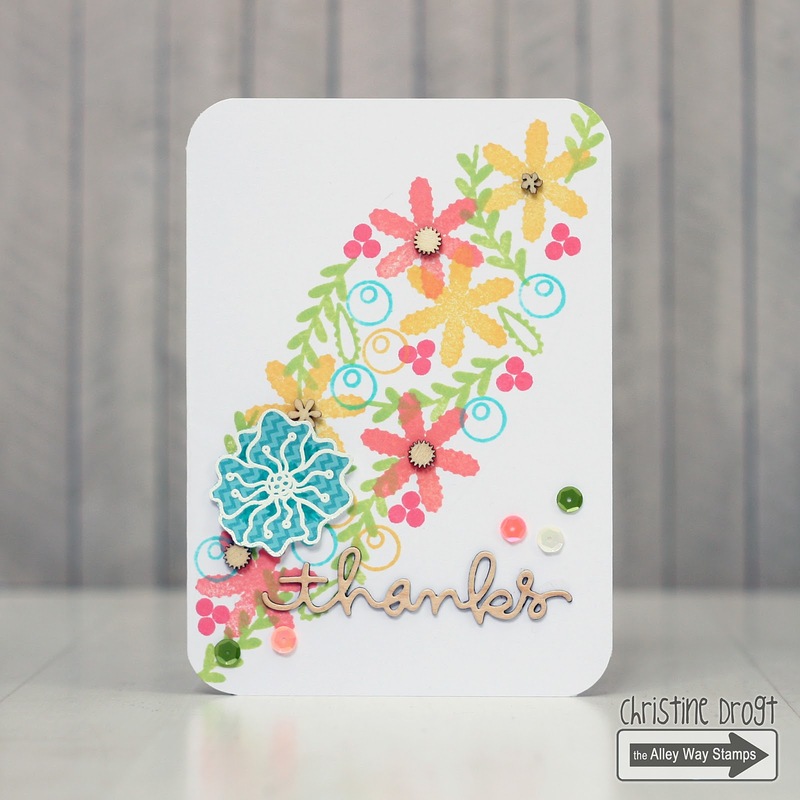 I used Bitty Borders and Flower Doodles to create this charming card! Hello! 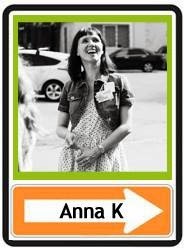 Today Anna is with you too. And I made for you this light one-layered card Prayers. I used True Colors and Now You See Me sets for background, and sentiment is from Pick One set. Hello! 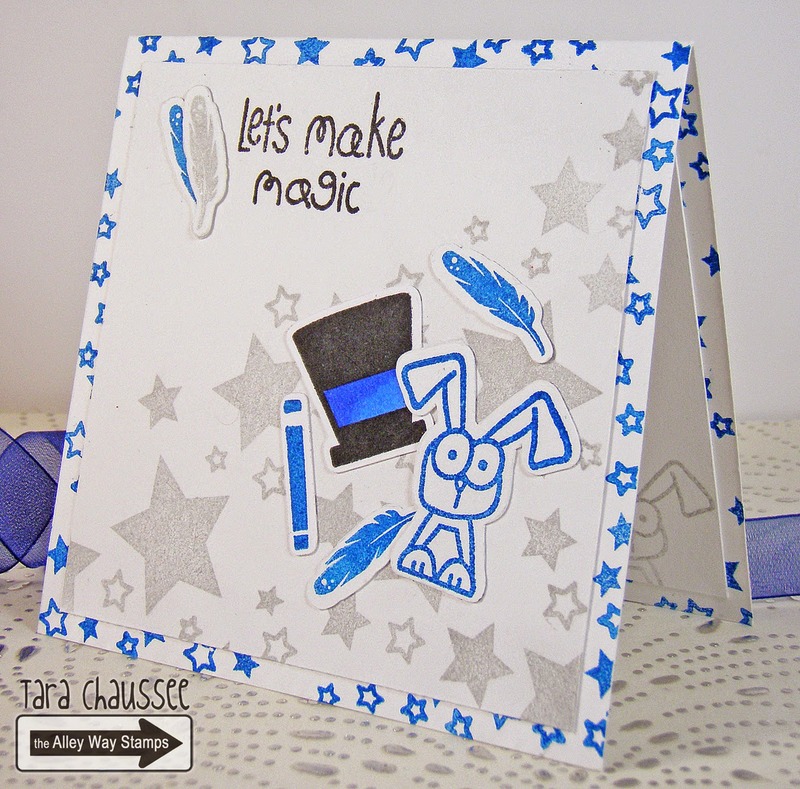 Tracy here with a card I made using the freebie for this month, Now You See Me. Hi everyone! Tara here with another card featuring the free set this month, Now You See Me! I combined it with some of the images from Ta Da to create a 'magic' card!